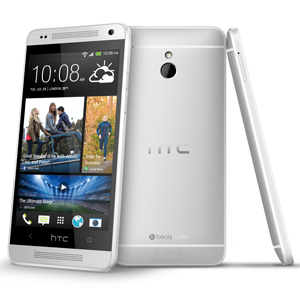 The HTC One Mini is a trimmed down version of the 2013 flagship HTC One. The Mini has a SuperLCD2 4.3" display at a resolution of 720x1280. It's powered by a dual core 1.4GHZ Qualcomm Snapdragon 400 processor and runs on 1GB RAM, with 16GB internal storage. The camera found on the Mini is the same 4MP camera found on the HTC One.